Jolyon Acosta’s practice focuses on private wealth services for high net worth individuals, families, and multi-generational business owners. Mr. Acosta counsels clients in a variety of complex estate and business planning matters related to their wealth management needs. 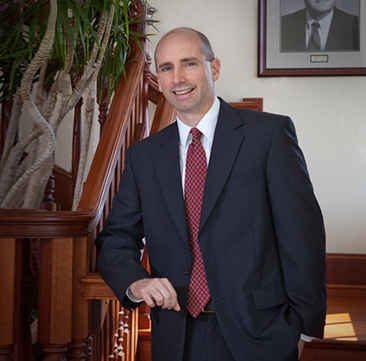 He has extensive experience advising clients on matters involving estate, gift, and income taxes, and routinely assists family businesses in succession and other planning matters. Mr. Acosta represents clients across a wide range of industries, including franchising, private equity and venture capital, real estate and sports and entertainment. Mr. Acosta is well-versed in federal and state taxation, corporate law, partnership law, wills, trusts, estate planning and estate administration. His practice includes transactional planning as well as representing clients before the Internal Revenue Service and state and local taxing authorities in a variety of tax matters. Mr. Acosta is a Certified Public Accountant, although he does not currently practice public accounting, and, prior to entering the legal profession, he practiced as a CPA with PricewaterhouseCoopers in Tampa, Florida and a consultant with Accenture out of the Washington D.C. and Atlanta, Georgia offices. Mr. Acosta was born and raised in Tampa, Florida. Seventeen Bush Ross Attorneys Named 2019 Best Lawyers in America®, Including Three Recognized as "Lawyer of the Year"
Sixteen Bush Ross Attorneys Named to 2018 Best Lawyers in America®, Including Two as "Lawyer of the Year"